Almost 30 years on from when he made his first recording, Ian presents his latest for your enjoyment. 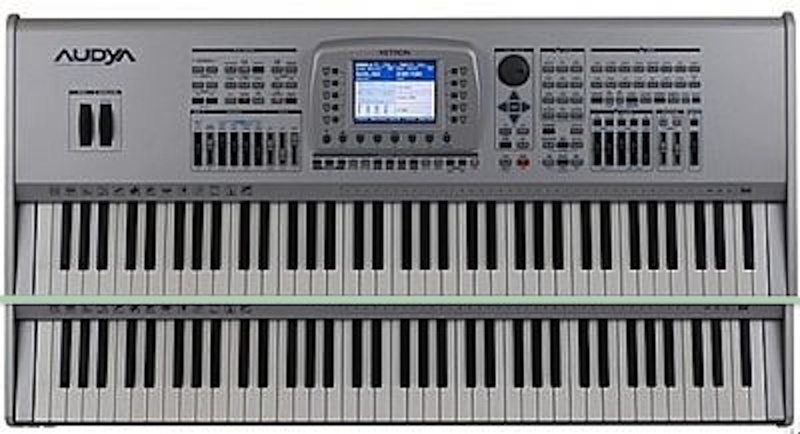 Over those years he has never been one to shy away from experimenting, owning and showcasing a number of keyboards, either as ancillary instruments to a standard organ, or in solo capacity...sometimes using two or more in accepted organ keyboard layout, in order to use specific sounds and tone colours that the others might not have. So in this studio recorded collection of 15 tracks you’ll thrill to a myriad of sounds from his Ketron Audya,with the additional use of a Ketron SD5 and Roland pedal board on Track 9 which is from a live concert but still using the aforementioned instrument. 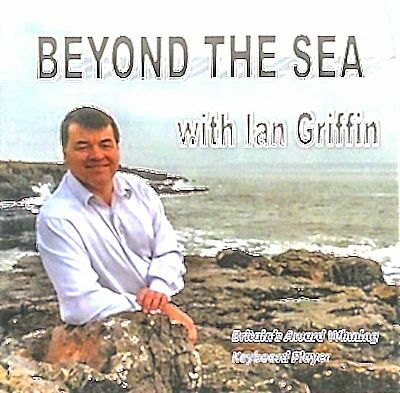 As both an established concert artist and cabaret accompanist he has to keep abreast of music tastes and with an eye to perhaps appealing to a younger market, BEYOND THE SEA is an eclectic mix of “newies & oldies” . The lively opener, ENDLESSLY finds the clock turned back to 1959 for the single by Brook Benton, whereas HALLELUJAH, although initially achieving little success back in ’84, found increased popularity after being featured in the 2001 film Shrec following on with Alexanda Burke who shot to stardom with this song in 2008 . Next comes the pairing of WHATEVER LOLA WANTS, from the 1955 film Dam Yankees and conjuring up an evocative Parisian mood PERHAPS, PERHAPS, PERHAPS, aka QUIZÁS, QUIZÁS, QUIZÁS: a popular Latin American number that all fans of Hammond organist Ethel Smith will recall with affection. In more recent times Britain’s Got Talent winner Susan Boyle had great success with WHO WAS I BORN TO BE, and a plethora of male vocalists had hits with the Leslie Bricusse composition MY KIND OF GIRL, which here is given the big band treatment so popular with organ concert attendees. Frank Sinatra once introduced CYCLES as being in a category of “simple tunes – simple words & profound thoughts” and in this instrumental version Ian Griffin has coupled it with a song by another popular vocalist Solomon King, which although it only made it to number 21 in the 1968 UK singles charts WHEN WE WERE YOUNG is, nevertheless a very nice ballad. MORE THAN I CAN SAY takes us back again to 1960 with a song written by two members of the Buddy Holly group, The Crickets and Leo Sayer, then, coming bang up to date is the strangely named debut single recorded, produced, and co-written by American singer Charlie Puth called MARVIN GAYE. Allowing for the fact that you might be hearing that one for the very first time, that cannot be said for WISHING YOU WERE SOMEHOW HERE AGAIN, which Phantom of the Opera lovers will recognise as being sung by Christine Daaé. The next bunch of tracks rightfully fall into the ‘oldies’ category, namely RHYTHM OF THE RAIN a song performed by The Cascadesreleased in 1962, and then the chanson classic and jazz standard BEYOND THE SEA, of if you prefer your actual French, La Mer! A year earlier singers Cleo Laine and Pattie Page both released versions of YOU'LL ANSWER TO ME. For hisarrangement Ian has resorted to that distinctive sound which we have come to enjoy at his concert performances. Then comes LIKE I DO a song that was first released by Nancy Sinatra. Ian seamlessly links it through to LET ME GO LOVER which saw artists such as Teresa Brewer, Kathy Kirby, Pattie Page & Peggy Lee .The penultimate track finds Ian embracing the reggae rhythms of TEARS ON MY PILLOW a popular song for Johnny Nash that became the the top of the charts for a single week in July 1975. The CD closer is DON’T CRY OUT LOUD a beautifully crafted ballad which Ian builds to a climatic finale. Over the ensuing years, and boosted by working with him and having the pleasure of introducing him to Festival audiences, my friendship with him and his family has remained ever present. 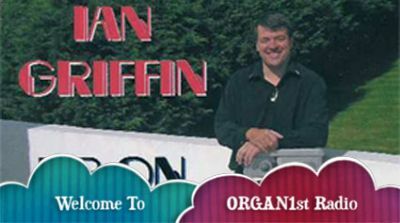 So many of those ‘up & coming’ youngsters of the pioneering organ Festival days have disappeared, whereas Ian Griffin has gone on to achieve so much more. 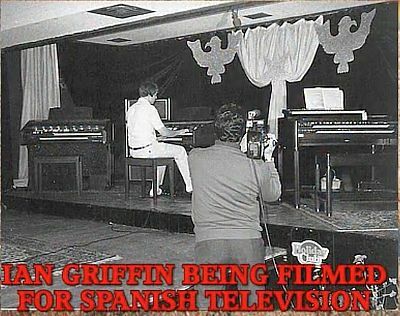 This recording is but just one small part of his musical lifetime. Welcome to my website and my world of music. As everyone will agree, the right kind of music makes one feel happy and this makes me feel happy too. Just browse around this website and just enjoy the video clips I have included for you. I sincerely hope that will be able to attend one of my shows and play one of your requests during the second half - 'The Request Spot'. During the interval perhaps I can have the pleasure of signing one of my albums for you. This extension website now gives the dates and venues of my shows in an easy to view format - see Menu. The picture was taken on the roof of a villa in Port Talbot just before it was bought by Paul Potts, the singer who shot to fame on 'Britain's Got Talent'. The screen shot is from the May 2010 programme. 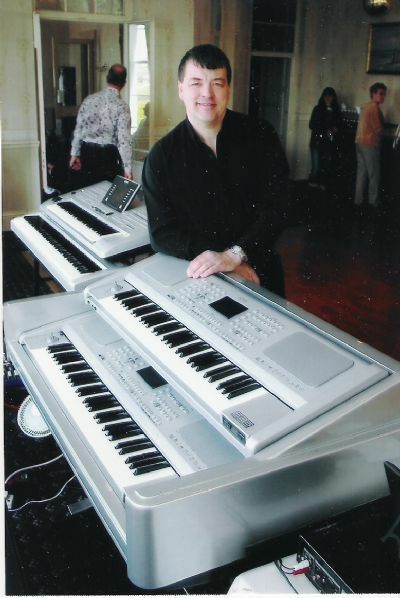 The photograph was taken at an annual new year charity show where I was providing the music. I hope to highlight many more personalities from stage and screen that I meet at the special events where I have pleasure in playing. I also hope that this part of my website will enable many of my friends to keep in touch by leaving a message in the GUESTBOOK (see Menu). Also on the Menu you will find a CALENDAR showing my forthcomg appearances. Another page shows ny AVAILABILITY - this should be useful for engagers to know when I am available for concerts or special events. For those who would like to write to me personally, or want to book me for shows, please select CONTACT ME on Menu. These messages are only seen by me and come directly to my laptop. Thank you for visiting my website, I hope to see you at one of my shows. PS .... I have just added a new page to the Menu to highlight photographs that have been used for publicity purposes. Below is a photograph of a keyboard-organ that I designed and built myself. It was officially launched at Pontin;s Pakefield at the Keyboard Cavalcade Festival in April 2010..
More details can be seen on the BRAND X website on which views and comments (constructive I hope) are very welcome. For details of my new sound system, and the story behind it, please select NEW SOUND SYSTEM in Menu. Please note that Ian is not responsible for any advertisements that appear on this website and does not endorse them in any way whatsoever. All information is given in good faith. No responsibilities can accepted for any errors or ommissions. Every effort will be made such errors when they are brought to Ian's attention.